Santa Barbara Sandstone is a beautiful locally sourced option! Santa Barbara Sandstone is a natural stone that is harvested as boulders directly beneath the surface. This is done primarily on excavation sites which means it is sourced without harming the environment. 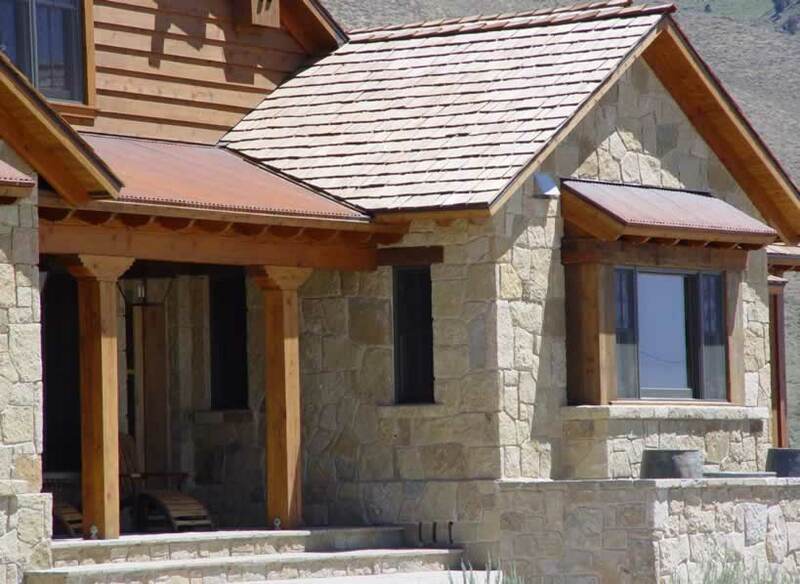 Natural stone is an attractive material that will outlive most structures built today. In some cases it can be salvaged from one building to be reused or re-purposed in another. Locally sourced stone has all the attributes of a green product. It requires almost no chemicals to produce or maintain, it emits no VOCs or hazardous airborne pollutants and it is water-resistant and durable. When natural stone is used for building purposes we believe it is a better environmental choice over options made from man-made or concrete material. If having an environmentally responsible building or landscape is important to you, you may want to inquire as to whether your project meets the guidelines set by “SITES” for landscape design or “LEED” for building. One of the qualifiers for meeting “green” building guidelines can be attained if local stone is quarried within 500 miles of the building site. Santa Barbara Sandstone is harvested from the same region it draws its name from. And, throughout the U.S., today’s natural stone quarries do their best to quarry and produce stone products in an environmentally supportive way. Conserving resources, preventing pollution, and minimizing waste are some ways the stone industry is working to be eco-friendly through green building. By using local stone, you may benefit from cost savings. Regionally manufactured and extracted materials cost less to deliver to your project. Also, locally sourced stone may reduce environmental impact by reducing emissions of greenhouse gasses during transportation of the materials. Local stone adds a classic look to your landscape or home that you’ll appreciate for years to come. We would be pleased to provide you with stone local to your area such as the Santa Barbara Sandstone. Click on this link: Santa Barbara Sandstone to visit our gallery of images from beautiful projects we’ve supplied this warm and classic stone and call us today!